So I’m pregnant. It’s not really a secret anymore, and even if it was, I’m so sick of it being a secret. In December, my life is gonna change drastically. (Scary!) One of the changes that’s glaring at me is that I won’t be at work. 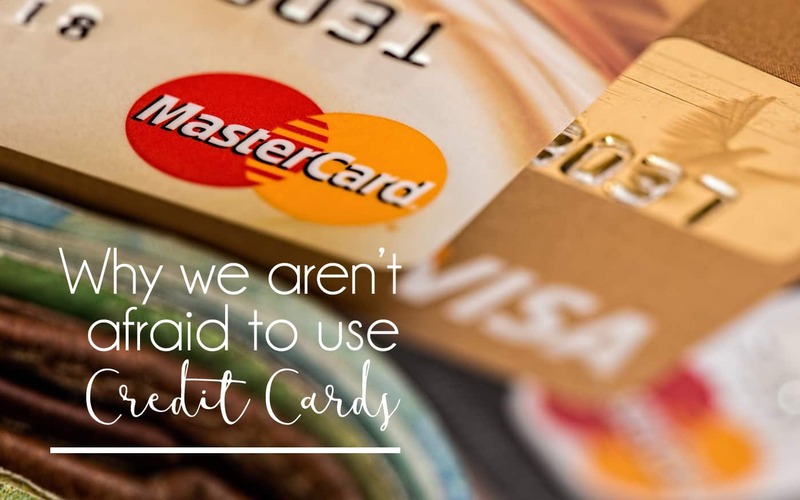 Sure, I’ll get some maternity leave pay (but not much), and the truth is that we can get by on very little, since we are debt-free and pretty careful with our money in general. But that doesn’t change the fact that losing my income is an issue that has to be dealt with and if I want the option to stay home with this baby long term (and I think I do) then I need to take action NOW. There are lots of reasons I was interested in starting a blog – I wanted to be genuinely helpful to people, I wanted a “hobby” that I just can’t get enough of, I wanted to learn something new & do more with my life. I’ve always loved writing. I wanted to generate an income from home. And I wanted to see if I could do it. In a funny turn of events (cus that’s how things happen), now that I’m pregnant and looking at leaving work, I’m actually at a job that I LOVE for the first time in my life. Still pregnant though, so still leaving. For a long time I had been thinking that starting a blog seemed like a pretty good idea. Maybe for a couple years even, I couldn’t tell you exactly when the idea first got planted in my brain. But, problem. Please don’t tell anyone, but I still look at my fingers sometimes when I type. I also don’t have any sort of special knowledge about anything in particular. I have (a little) life knowledge, but no special skills. So who am I to write anything about anything, and put it out there and expect other people to read it? So. I’m about to make a confession here. Something I have never admitted out loud to another soul, not even my husband. I followed the instructions from my hosting company, had wordpress all set up and picked a free theme. THAT part was easy, yes. Then I stared blankly at the “blog” for a few hours. And then a few more hours. I gave it a few days and tried to brainstorm some post ideas (it was going to be a travel blog). I stared at it again for a few hours the next week. I tried (sort of half heatedly), to make wordpress do some things. And then I never looked at it again. I THREW AWAY (I can’t remember how much, but I think it was in the neighborhood of) 65 DOLLARS FOR NO GOOD REASON. Oh, I had “reasons”. I was stuck on what to write about (my domain name had “travel” in it so I had to follow suit). I couldn’t make wordpress do anything I wanted it to do. All the free themes looked clunky and I didn’t love them, but I wasn’t about to spend any more money. I had no direction as to what the next step should be after I followed the “how to set up a blog in 8.7 minutes” tutorial. Yup, it was set up, but it sure wasn’t a blog. The problem with blogging was that I had NO idea how to do it. Soooooo. 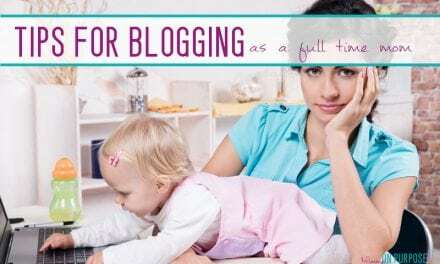 Have I convinced you that you should be blogging? Haha. Right, THAT’s what this post is called. Because since starting THIS blog, which was far better thought out, significantly more thoroughly researched, and approached from a totally different angle (not the get going in under half an hour to make quick money angle), I can level with you and say it’s shaping up to be one of the best things I have ever done. I told myself (in March) that if I made 10 dollars by Christmas, I would keep going. We’ve just gotten into July and I’m approaching $500 – all earned since mid-June, when I started really implementing my monetization and promotion plan. I haven’t even really started to fully monetize this blog, and every single day I am blown away by the way the cents are becoming dollars and the pinterest clickers become “readers”. I will not tell you that in “15 minutes” your blog will be a blog, just so you’ll click on my links and jump on in. I will not lie to you about what it takes to find the door in the dark. BUT. 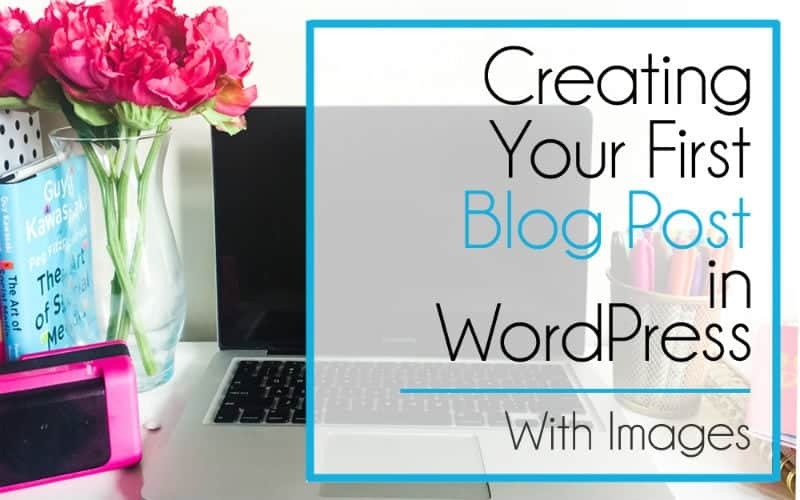 If you are serious about wanting to give it a shot, if you are willing to invest your time (and a little bit of money – but not a lot of money), if you really want this, then I will totally promise you that it is possible for you to create an amazing, successful blog. Because it’s an awesome creative outlet, and compared to other creative hobbies like scrapbooking or crafting ect it’s really cheap. Because the feeling of accomplishment you get when you watch those stats climb higher and cents become dollars is one that you won’t get many other places. This is success that you have built from the ground up. 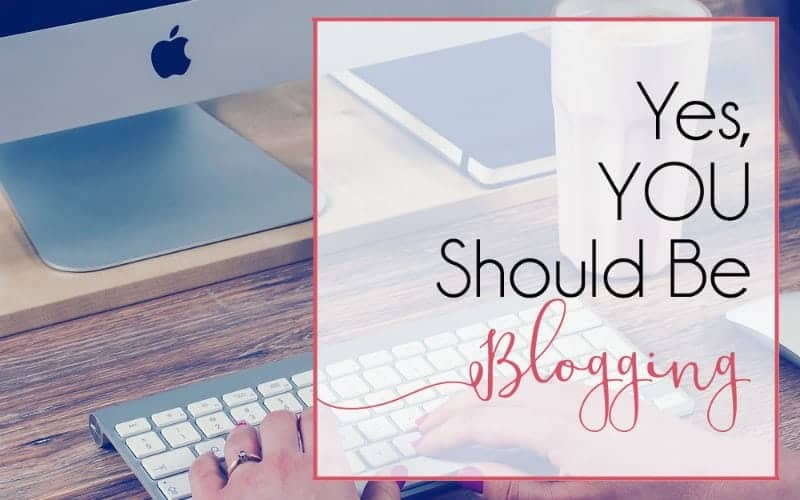 If you have ever wondered if you should be blogging, the answer is probably (a pretty resounding) YES. I think that the desire to do it, and to do it well, is the only pre-requisite for doing it. If you’re ready to start, here’s a tutorial on How to Start a Blog for Profit and Work From Home! 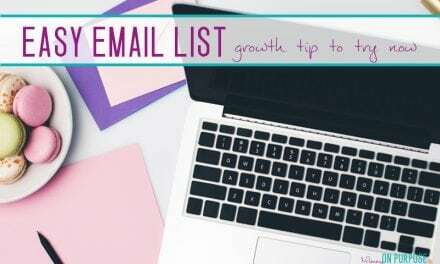 You can also get on my blogging email list so you don’t miss out on blogging tips and updates! PreviousLive Your Life on Purpose! Just popping on here to say thank you for the blogs about blogging, been really wanting to blog. Question when you said it was 3.95/month do they take 3.95 a month out of your card or do they take the full payment? was kinda confused and did not want to send it and not have the money on my card. Hi Donna! You are so welcome for the posts on blogging – I have lots more to come 🙂 With Bluehost, you do have to pay upfront for the full year, and to get the 3.95/month rate you need to pay for three years. (It’s 5.95/month if you just want to pay for one year.) So with domain privacy protection (which is the only ad-on I recommend) if you only pay for one year the charge on your card is $83.28. 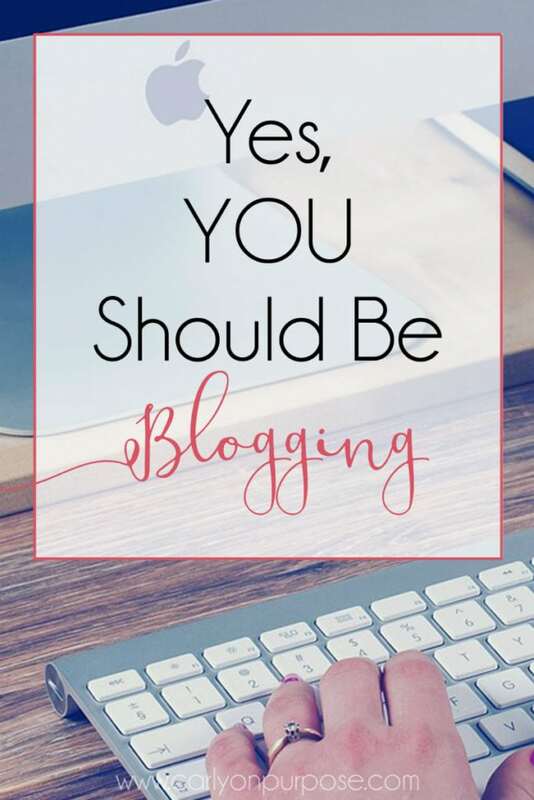 If you want to be blogging you should DEFINITELY be blogging. Investing the money seems scary but I am SO glad I did it! Greetings! I’m just getting off the ground with my site. Equal parts terrifying and exciting (in no particular order). I was clicking my way through your site when I came upon this post. I have to say it’s reassuring to hear that even though I’m nowhere near a 10k+/month big ballah’ blogger, there’s a place for me on ‘the interwebs’. I enjoy your blog, keep it up! Hi Carly! Thank you for posting all this information. I keep hearing about bluehost, bluehost, bluehost… If I have a domain purchased elsewhere, do I need bluehost? Or does bluehost have more to offer than just domain name hosting? Thank you!